Last edited by Richard Gomm on Sat Mar 10, 2007 7:47 pm, edited 1 time in total. Hopefully it'll come out this time. thanks all, I look forward to hearing any thoughts. Richard Gomm wrote: Hopefully it'll come out this time. 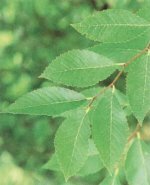 http://www.bonsai4me.com/Images/SGimage ... ifolia.jpg Zelkova Foliage image. 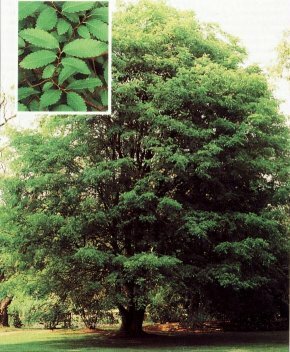 http://www.bonsai4me.com/Images/SGimage ... 20leaf.jpg] Chinese Elm Foliage image. See herefor more info on bonsai. I suggest you start with the articles on Watering, Soil and basic care. There is plenty on that site to research. When you have had time to absorb a bit of it we will be here for the next batch of questions. Thanks or all your help, I think I have it identifed now. I didn't realise it could be so hard. I'llgo off ad read about this broom style mentioned. I'll be keeping a web log going with upate pictres every couple of months or so, if it survives tha long (I'm not known for my green fingers. You're welcome. I take it that you concluded this is a Chinese Elm, correct? Sorry about the quarter dollar, I had not paid attention to your location at first. The diameter is 24MM I believe. Glad to hear that you are taking the initiative and doing some research, there is much to learn. Yes, your medium seems to be the typical stuff seen from many retailers. Take a look at the two sticky threads at the top of the bonsai forum regarding potting and root pruning. Also, do you see how long the distance between leaves, (internodes) is on your shoots. This is most likely due to being grown in low light conditions. New growth will be more compact if it is given better lighting. You should not have much difficulty keeping this tree alive as they are very durable. Please let us know what you are going to do about the medium. Has anyone used this cat litter? I have not tried cat litter myself as I have another product available in my area. Be aware that not all products are the same and that site is very specific about what brand to use. If you get the wrong stuff, or by chance they have modified their product, it may turn into a gooey mess, so be careful. Take a sample and put into a glass of water and observe it for a while to see if it remains stable. The submersion was OK for an emergency but in the long run you will really be better off by watering from above. When your soil is changed there will really be no need for that type of watering. By the way the litter is not identical to the Japanese products but you are correct in thinking that it is a more reasonably priced substitute. It looked good uptill I water it! Now it appears I have gooey mess in the pot - hopefully it'll dry out and I see some kind of change. Think I'll order the proper stuff from the web and damn the expense! I've taken a load of pictures during the process of re potting / changing soil / purning roots. Would like to share them for others to comment - should I do that in this thread? I've included a picture of the gooey mess at the moment! For any other Irish person thinking of using the Tesco cat litter - don't. It is not fired over - it appears to be natural clay and goes very messey!!! Sorry about your problem. I'll have to keep that in mind when talking to folks across the pond. They must have changed their product. You are going to have to get the plant out of that crap and wash it all off as soon as possible. It may be OK long enough for you to get something better, if you act very quickly. Don't plan on leaving it in that for more than a day, I'd be afraid it would turn into concrete. I don't think you can wait to order something over the net, you do not need akadama anyway. I know it's too late today but first thing in the morning make it your mission to make this right. The easiest route is to call around to nurseries/garden centers and try to locate a ready-mixed product. A mix intended for cacti might make a good base to start from if you cant find bonsai mix. Some growers here use chicken grit as a part of their medium, make sure it's not oyster shell though. Pine bark and perlite can be used in a pinch. I never thought I would say this but even commercial potting mix (add some bark and perlite) would be preferable to leaving it in this stuff. Please heed my advice as this is a death sentence for your tree. This is as close to a true bonsai emergency as I think I have ever seen. If you follow the link at the top of this page to the "Garden Forum Index" you will find that there is a bonsai gallery that would probably be better for posting a series of pictures. Good luck and Let us know what you discover. Last edited by Gnome on Sat Mar 10, 2007 9:18 pm, edited 1 time in total. Richard: Just a quick thought that will be too late for you to apply. The larger the particle size the better. yep I agree it went terribly wrong. I pulled it striaght out and washed the gunk off. The best I could o for now was to dump it in some potting compost I had in the shed. No sand or grit in it the mo. What'd you think to it staying in that for a few days? Was going to order the correct stuff off the web but probably not get here for 3 - 4 days (only as theirs no where to buy the stuff (I'm in the middle of nowhere!) I would use the soil I took it out off but it was thrown away and no covered in food in the bin.